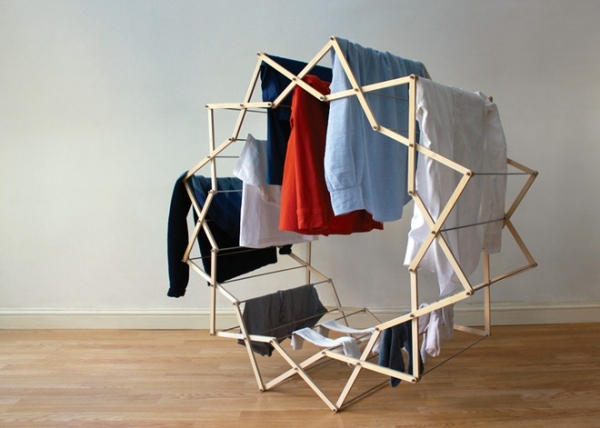 What could make something as mundane as drying clothes a lot faster, space efficient and prettier? London based designer Aaron Dunkerton has the answer! 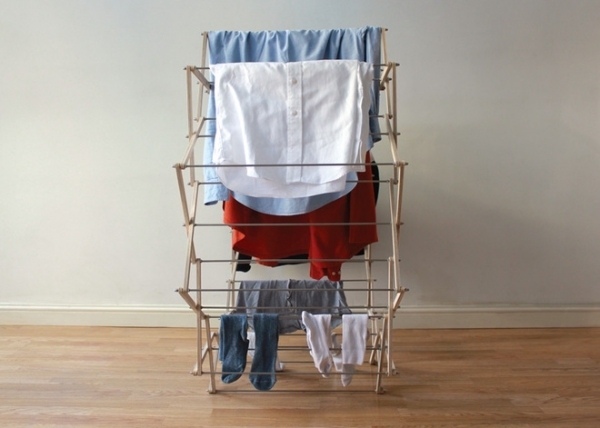 The Clothes Horse – his solution for the drying rack – not only adds a contemporary twist to conventional design, but also explodes it with aesthetic and functional possibilities. 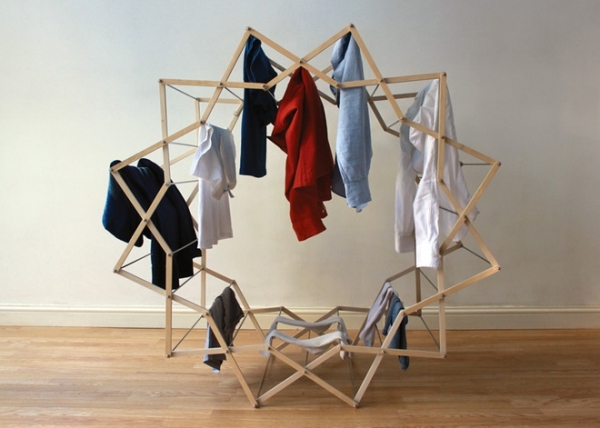 Inspired by the logic and appeal of geometry, this star shaped drying rack brims with innovative spirit and sensitivity. 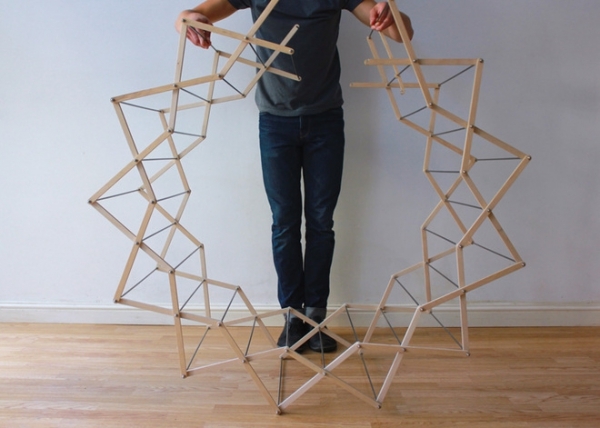 Articulated as a twelve-pointed star, this rack packs in more drying surface into a lot less space and volume. With 10 drying racks more than the average unit, the design presents an ideal answer to small living spaces and large families. 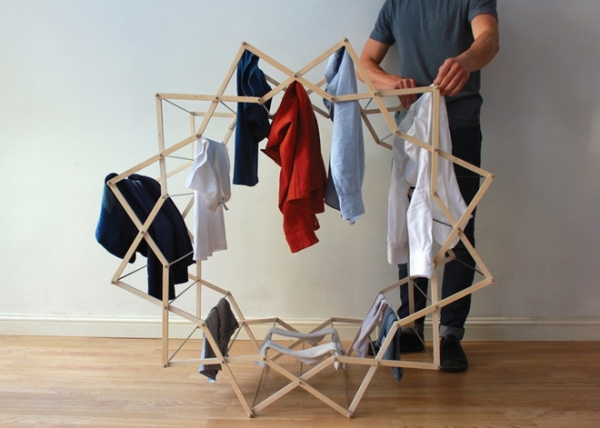 Its light-weight construction, crafted as a series of interconnected beech plywood strips, makes this star shaped drying rack extremely portable and versatile in use. 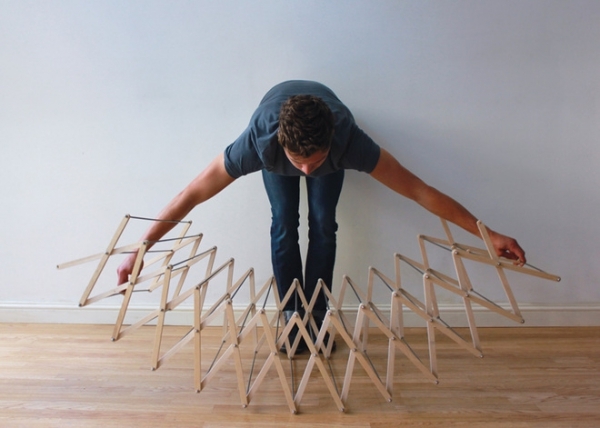 The plywood strips connect and loop around to take on a ferris-wheel like form. 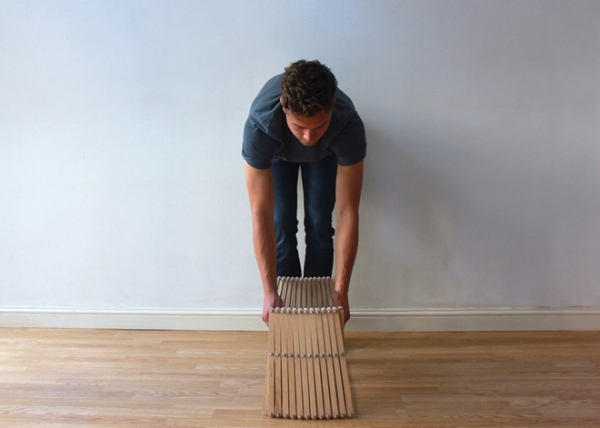 When not in use, the strips collapse to fold up into a neat and compact volume that can be easily stored around the house. The choice of material, along with the contained lines and profile, lend it a modern aesthetic, making drying clothes a lot easier on the eyes.